There will be times when you will be intimidated by that letter you receive by mail or a notification sent via e mail or call. The messenger from the state informs you about a temporary suspension or disqualification from receiving unemployment insurance. This will be a testing phase for you and your family if you’re dependent on the weekly benefits provided by the government. First of all, do not panic. There is absolutely no point in expressing anguish which will worsen the situation. You must sit down and discuss the reason for suspension or disqualification. 1. ABLE AND AVAILABLE – If you are not able to work or not available for full-time work without restrictions. 2. ACTIVE SEARCH FOR WORK – Benefits are denied until you begin making an adequate active search for work. 3. ALIEN STATUS – If you are not a citizen of the United States and your alien status must be determined as required by the U.S. Immigration and Naturalization Service. 4. ATTENDING SCHOOL OR TRAINING – When you filed your initial claim or your weekly claim certification (request for payment), you indicated that you are currently attending school or training that may interfere with your availability for work. 5. DISCHARGED FROM EMPLOYMENT – Depending on the reason you were discharged, there are three levels of misconduct in the Maryland Unemployment Insurance Law. 6. FRAUD – If you knowingly made a false statement or failed to give important facts in order to obtain or increase benefits.You may be disqualified for one year and must repay all benefits you have received, plus interest. In addition, you may be prosecuted for fraud. 7. INSUFFICIENT BASE PERIOD WAGES – There is a question concerning your monetary eligibility for benefits. 8. MEETING REPORTING REQUIREMENTS – If you fail to report to the Division of Workforce Development when required to do so, or fail to be available for a telephone fact finding interview with the Division of Unemployment Insurance. 9. MILITARY BENEFIT ENTITLEMENT – You are recently separated from the military and it must be determined if you are eligible for unemployment insurance benefits under the Federal Law. 10. MONETARY ELIGIBILITY – You worked full or part-time during a week and you earned more than you reported, or you received holiday pay, vacation pay, special payment, bonus or severance pay, OR there is a question concerning your monetary eligibility for benefits or dependents’ allowance. 11. NOT UNEMPLOYED – You worked full-time during a week and earned more than your weekly benefit amount; or you worked full-time during a week and earned less than your weekly benefit amount; or you were self-employed on a full time basis, regardless or whether you earned any money. Benefits are denied as long as you are working full-time. 12. OVERPAYMENT – If you received benefits for which you are found to have been ineligible.Benefits are not payable to you until the over payment is repaid. 13. PENSION – You are receiving, have received or will receive a lump sum pension or monthly pension.Your weekly benefit amount may be reduced by the amount of pension you are receiving. 14. REFUSED JOB OR JOB REFERRAL – If you fail to apply for available, suitable work or if you fail to accept such work when offered to you. 15. SEVERANCE PAY – You are receiving, have received or will receive severance pay, dismissal pay, [or] wages in lieu of notice. 16. VOLUNTARY QUIT EMPLOYMENT – You have voluntarily quit your employment. After scrutinizing the reason for suspension or disqualification you may decide to reapply on amended terms if it is not severe. Follow the procedure laid out in the enclosures provided (that may come along with the letter of suspension/disqualification) that will provide instructions to reapply to re qualify for unemployment insurance and other benefits. If you have met the re-qualifying requirements, and have stopped filing weekly claim certifications you must reactivate your claim. A review of your claim will be done to establish that you have met the requirements. You may be sent requests for information to establish that you have met the re qualifying requirements. Complete the requests and return by the due date. It is a cherished dream for any individual to have a good career so that one can pay bills on time, buy that dream home and car and enjoy financial freedom. Living life in the fast lane might not leave us anytime to think about possible hurdles. What if something goes horribly wrong and those paychecks stop even before you retire? All your future plans and dreams come crashing down. That’s when disability insurance (DI) comes in. It provides an income to you and your family in case you are not able to work because of an injury or illness. Disability Insurance gives you the courage to dream without thinking about financial hurdles and you can stand on your own two feet till you reach your retirement and beyond. What Is Disability Insurance (DI)? Disability can be defined as a physical, mental or psychological inability to fulfill your occupational duties. It can be temporary or permanent. Your ability to earn an income is usually considered your biggest asset. Disability insurance protects the beneficiary’s income against the risk that disability will make working impossible. It includes paid sick leave, short-term disability benefits and long-term disability benefits. Major illnesses, injuries and the conditions which one develops with age are also considered. Here are the major categories of illnesses that are covered by the DI. Musculoskeletal Systems – Under this category major dysfunction of joints and spine related issues which disables a person from working are included. Special senses and speech – Loss of vision or speech related issues. Respiratory system – Conditions such as chronic pulmonary insufficiency, Cystic Fibrosis, Pneumoconiosis, Bronchitis etc are included. Cardiovascular system – Chronic heart failure, Ischaemic heart disease, Peripheral arterial disease etc comes under this category. Digestive system – Includes Short bowel syndrome (SBS), Inflammatory bowel disease (IBD), Chronic liver disease Gastrointestinal hemorrhaging from any cause etc. Genitourinary Impairments – Impairment of Renal function, Nephritic syndrome with anasarca, persistent for at least 3 months despite prescribed therapy. Hematological Disorders – Chronic anemia, Sickle cell disease or one of its variants, chronic thrombocytopenia. Skin Disorders – Conditions such Bullous disease and chronic infections of the skin or mucous membranes, Dermatitis etc. Endocrine Disorders – Hyperglycemia, Adrenal gland disorders, chronic hyperglycemia, Diabetes and other pancreatic gland disorders etc. Congenital Disorders that Affect Multiple Body Systems: Category of Impairments includes Congenital Disorders that affect multiple body systems, non-mosaic down syndrome etc. Neurological – Epilepsy, Brain tumors, Parkinson Syndrome, Spinal cord or nerve root lesions due to various causes. Mental Disorders – Schizophrenia, paranoid and other psychotic disorders, Intellectual disability, Anxiety-related disorders, Somatoform disorders etc. Malignant Neoplastic Diseases – Category of Impairments includes Soft tissue tumors of head neck, soft tissue sarcoma, Lymphoma, Leukemia etc. Immune System Disorders – Systemic lupus erythematosus, Systemic vacuities, Systemic sclerosis, Polymyositis and dermatomyositis, Immune deficiency disorders, excluding HIV infection, Inflammatory arthritis etc. What Are The Different Types Of DI? Based on the nature and coverage one has six kinds of insurance to choose from. This insurance is for people who are self employed or entrepreneurs. The benefits and premiums may differ depending on the need of the individual in regards to the nature of profession, risk involved, state of residence. Higher the premium wider the coverage. Business overhead expense disability insurance is intended to refund a business for the overhead expenses incurred in case the owner suffers a disability. This insurance can help the owner with business expenses such as rent or mortgage costs, maintenance fees and other business related expenses. When a key person in a business becomes disabled, this insurance can give the business owner the benefits of continuing with the business transactions that the key person has left behind. This enables the business to move forward and go on without losing revenue and profit. This policy entitles the insured to a 65 percent income replacement benefit regardless of income level. This disability insurance is on top of a coverage and the most sought after. This insurance is acquired by an employer for his employee. It is important to note that this insurance is only valid when the employee is hurt or disabled while working. It is a program managed by the Social Security Administration that insures a worker in case of a mishap. Disability insurance offers income protection to individuals who become disabled for a long period of time, and as a result can no longer work during that time period. Employees, who’ve paid the Federal Insurance Contributions Act (FICA) tax for a certain amount of time, are eligible to receive the Social Security disability income insurance. Disability insurance can be purchased as an individual policy or can be acquired by an employer for the employees. The cost of the disability insurance vary based on many factors such as benefit period, age of the individual, nature of employment, income etc. Individuals who purchase a disability income policy can expect to pay about 1 percent to 3 percent of their annual salary. Employers generally provide short or long term group disability coverage which is deducted from an employee’s salary. If you have been insured by your employer under the social security scheme then you can go on to the Employment Development Department site and can file a claim online. It is the easiest, continent and secure method or you can file it through mail. You must be unable to work for continuous eight consecutive days. You must be employed or have been actively looking for work at the time you became disabled. You must have lost wages because of your disability or, if unemployed, should have been actively looking for work. You must have earned at least $300 from which SDI deductions were withheld during a previous period. You should have been under medical supervision of a licensed doctor during the first eight days of your disability. You must complete and mail a claim form within 49 days of the date you became disabled or you cannot avail the benefits. Your doctor must certify you as disabled. If you believe in having security and peace in life and have a job then yes you need to have insurance. A recent social security fact sheet states, “Just over 1 in 4 of today’s 20 year-olds will become disabled before reaching age 67.” And if disease or injury renders you disabled early in your working life, the lost wages can be worth much more than a house or a car. Don’t go the way where life takes you, take life the way where you want to go. Let not uncertainties change your life. Get a Disability insurance and anchor your life to the safe harbours. If you lose a job in Florida, chances are you will take a long time to find another. Florida has the maximum rate of long-term unemployment in the nation. According to a latest census data, more than 53 percent of jobless Floridians are without work for six months or longer-worse than any other nation. As per the researchers, Nevada and New Jersey also had at least 50 percent of their jobless people without work for six months or longer. Many of long-term unemployed in Florida and other states were in the hardest hit sectors of manufacturing, construction and government. Adam Looney, director at The Brookings Institution believes that lack of worker mobility, owing to the housing crisis also has led to prolonged unemployment in Florida. The time period a person is unemployed depends on certain factors including their background, work history and the kind of job they are searching for. Typically, unemployment is lower in the spring and summer months for the reason that many hospitality jobs reopen for the tourist season. In the previous year, unemployment in Florida dipped to 9.9 percent, as nearly 130,000 jobs were created. In between October 2008 and April 2009, an average of 700,000 American workers became jobless each month which contributed to the worst decline in the employment. Research says that that people who became unemployed during the recession—particularly those who had been employed for longer time often make considerably less even when they do find work, impacting the quality of life for them and their families. Involuntary job loss can be a disturbing experience in ordinary times but latest research illustrates that outcomes of unemployment are worse for workers and their families at the time of recessions. All through economic downturns, those who bear job loss tend to be out of work for longer duration, resulting in higher earning losses. As a result of the Great Recession, unemployment’s average duration is at its highest level since record-keeping commenced in 1948. The Hamilton Project inspected the employment and earning summaries of full-time workers who were out of work for economic reasons between October 2008 and April 2009, and followed their employment and earnings in the two-years after their job loss. Before suffering job losses, these people made roughly $3,640 per month, or $43,700 annually on average. Being unemployed for two years, the average earnings of these workers was reduced to $1,910 per month and nearly $23,000 annually which is 48 percent lower than their average pre-job earnings. According to Looney, the length of job hunt has not got shorter. Whether you are out of work for a month, six months or a year, it’s harder to find a job before the recession. 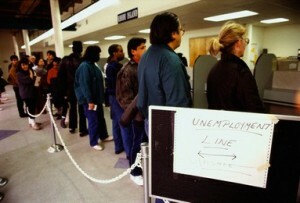 As per a study, the nation’s dreary job growth is contributing to long-term unemployment. Being without a job for longer duration is possibly the singular tragedy of the Great Recession and nowhere is it more sharp than in Florida. Wait for the exit polls to scream economic angst, and as the race to Nevada, you can expect lots of promises for the old and jobless. Are you out of work due to illness, non-industrial injury or pregnancy related condition? If so, you may be entitled to receive disability insurance benefits. Disability insurance offers fractional wage replacement to eligible workers who are not capable to work because of a disability. There is a number of disability insurance and other types of disability benefit programs that will assist you pay the bills, get back to work, or both. Disability is defined as any physical or mental illness or injury which stops you from performing your customary or regular work. Short term disability unemployment insurance can cover you for a few months to a few years while long term disability covers you if something lays you low for some years or everlastingly, although policies normally stop paying you money once you reach retirement age. It’s a better idea to be familiar with these disability programs before you need them, so you may take benefit right away. For example, disability benefits might begin on the date you file your claim, not on the date your disability started. Besides, there might be a waiting period before disability benefits begin, from the date you file your claim. You should be incapable to do your regular work for at least eight consecutive days. You must be employed or keenly looking for work at the time you become disabled. You must have lost wages because of your disability or, if jobless, have been enthusiastically looking for work. You must have earned at least $300 from which SDI deductions were withheld during a previous period. You must be under the treatment and care of a licensed doctor or recognized religious practitioner during the first eight days of your disability. You must remain under care and treatment to carry on receiving benefits. You must complete and mail a claim form within 49 days of the date you became disabled or you may lose benefits. How to File a Disability Claim? No one desires to think about filing a disability claim, but sometimes there is need for them. Expectantly, it is only for a temporary disability and not a permanent one. You will be thankful for disability insurance if it does happen, because you will in any case have some money coming in while you can’t work. Obtain a disability form. This can be acquired from the Department of Labor in your state. You can print the form from their website. Fill out your part of the form. Some of the detail you will need to provide should be collaborated with your doctor, as he has the records. You may need to submit the dates you were hospitalized and/or all treatment you have received from the doctor of record as well as any experts you have seen for your medical condition. Have your doctor fill in his part of the form. This will be the diagnosis part of the form and should be filled in by a practicing physician. He must give a specific diagnosis or the claim may be left without. Acquire other supporting documentation to go with the form. In case you were hospitalized or if you were treated by a specialist you must include this detail since it will be helpful in supporting your unemployment claim for disability. Have your employer fill out their portion of the form. The employer must do this so that the disability department knows how much to pay you. Do not wait for your salary; it will only be a portion of it. Disability has a cap on the sum they pay. Send the filled in disability form to the Department of Labor Temporary Disability Department (TDI). You will then need to wait. If there is a difficulty with the form they will send it back to you with precise guidelines on what is still required. Hopefully it won’t be too long before you collect a check. 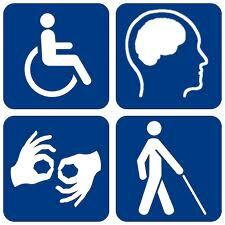 The main term in a disability policy comprise the payment to be made in the event of disability. Unlike other policies give a lump amount upon a qualifying event; most disability policies pay a recurring sum on a usual basis, normally monthly. The amount to be paid, and for how long, are variables in a disability policy. For instance, you may decide a policy that pays $3000 per year for up to 5 years. In any case, you cannot buy disability insurance for a sum more than your present salary. There are riders obtainable that add to the payout amount every year to stay even with when inflation and wage increases. 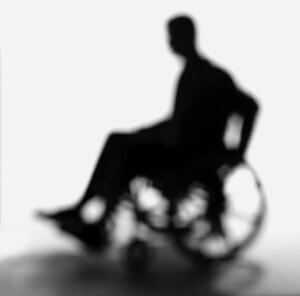 Anticipating you have a legal in-force policy when you become disabled, you can file a claim with the insurance firm. The insurance form will evaluate the claim to ensure that it obey the rules of all the terms of the policy and to avoid fraud. After a claim is approved, the insurance company will pay every month until you return to work, or the payments are completed depending on either duration of time or other terms in the policy. 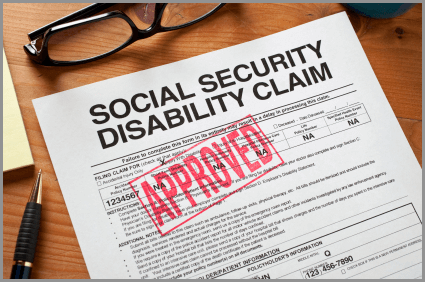 The two most common programs that fall under the umbrella of disability are Social Security Disability Insurance (SSDI) and Supplemental Security Income (SSI). Medicare and Medicaid are also components of these programs. Unlike retirement benefits, you may obtain Social Security Disability Insurance benefits at any age, if you have paid Social Security Taxes. But you ought to have a serious physical or mental injury that your doctors and the Social Security Administration’s doctors agree will stop you from performing considerable work for a year or more. Social Security Disability Insurance does not cover partial or short-term disabilities, but the state disability insurance does. SSI is paid to individuals with little or no income and very few assets, who may or may not have ever worked. These benefits are funded by general federal taxes most of us pay (Abbott). Medicare is federally-funded health insurance for people aged above 65; it is benefit of Social Security. It is also obtainable to people who have been on SSDI for 2 years. Instant eligibility is available for some unusual situations, but normally not for mental health disabilities. For those entitled for Medicare, a monthly premium will be withdrawn from your monthly SSDI check. Medicaid is a health insurance accessible for those on SSI. It is supervised by your state and mutually funded by the federal and state governments. Consolidated Omnibus Budget Reconciliation Act (COBRA) insurance may be an alternative for health care coverage if you have been laid off. COBRA contains provisions giving definite former employees, spouses, retirees and dependent children the right to temporary continuation of health coverage at group rates. While the term “group rate” makes it sound like you will be receiving a discount that will make the insurance premiums reasonable, they are normally much pricier than people expect. When you were working, you likely paid a small fraction of your actual health insurance premium. You may have paid 10% while your employer paid 90%. Under Cobra, you have to shell out 100% of the premium. Sometimes you even have to pay an extra 2% administrative charge. The total premium can be difficult to pay. What Happens When COBRA Ends? COBRA coverage is limited, generally to 18 months for terminating employees, and 36 months for dependents losing eligibility. But what can a person do when COBRA ends? For someone who is totally disabled, federal law offers an extension that will continue COBRA until the start of Medicare. For those who are completely disabled, but have a medical condition that would put them off from buying individual health insurance, there is another federal law, HIPAA (Health Insurance Portability and Accountability Act) that permits such persons to procure coverage. 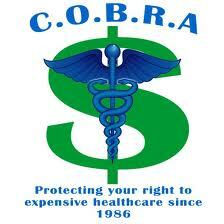 In 1989 COBRA was revised to allow people, who had to discontinue work due to disability, to lengthen the time they can keep COBRA Continuation. Under this law, someone who meets the requirements may stay on their employer’s COBRA Continuation until they become suitable for Medicare, which is usually 29 months after they leave work due to disability. Can you receive UC Benefits and Disability Benefits? After being laid-off due to a disability, many people apply for and collect state unemployment benefits. Unemployment compensation benefits offer short-term income to unemployed workers. In order to obtain weekly unemployment compensation benefits, you must confirm with your state Department of Labor that you are vigorously looking for and is available for work. Every state has different necessities to acquire unemployment compensation benefits. Receiving jobless compensation benefits can affect your social security disability claim. But, you cannot be deprived of social security disability benefits only because you received unemployment compensation benefits. Social Security Administration (SSA) allows SSDI benefits to individuals who not only can work, but are working. For instance, to make possible a disabled person’s reentry into the workforce, the SSA authorizes a 9-month trial-work period during which SSDI recipients may collect full benefits. Progress in a totally disabled person’s physical condition, while allowing that person to work, will not immediately lead the SSA to end SSDI benefits. SSA looks at the totality of the conditions in evaluating whether or not you are disabled including but not limited to your medical conditions, treating past work history, source records, and earnings. Bottom line is receiving unemployment compensation benefits will not automatically debar you from obtaining receiving social security disability benefits BUT it can be used against you. Some Administrative Law Judges (ALIs) consider that if you are collecting unemployment compensation, then you believe that you can work, and this clashes with a claim for disability. The ALI may inquire you about the particulars of why your job ended due to a mental or physical condition(s). What all information can I get through Unemployment Insurance Telephone Service? What are the responsibilities of a claimant? When should I apply for insurance benefits? What is the source of unemployment benefits to pay the insurance amount? Can all the unemployed be eligible for unemployment insurance benefit? Will my employer be notified about the insurance claimed? What is the benefit year? What is an overpayment and why it is considered as overpayment? What is Federal Unemployment Tax, who and how you need to pay for this tax? What is the process on calculating the Unemployment Rate? Filing a Tele query or obtaining payment information. Filing details on an initial or reopen claim. Tax Refund Intercept Program and penalties or appeals. In addition, the automated voice response will be available twenty four into seven days. There are different numbers available for different options. You can just follow some simple instructions and obtain the details you need. You should be able to work, available for work and you must make an active search for full-time work (Note-unless defined by Unemployment Insurance as a part-time worker). Report all wages earned each week. Report all monies received by you like vacation pay, severance pay, pension payments, etc. You should be available or contact the Division of Unemployment Insurance when directed to do so. File timely bi-weekly continued claims while requesting for payment. A. You can apply as soon as you become unemployed. Your application will become active from the day you claim for the insurance benefits, even if you are out of work since long. A. Funding source for unemployment insurance company is benefited from the taxes paid by employers. A. No, all unemployed are not eligible for benefits, you must earn sufficient wages during a specified monetary time. To receive the benefits, you must meet certain legal unemployment eligibility requirements. Yes, The Company will contact your employer in order to obtain information that is needed to process your application for the benefit process. The benefit year is a one year period beginning with the Monday following the week you file your valid original claim. You may be paid up to 26 weeks of benefits during a benefit year. The benefit year is a period of 52 consecutive weeks. It begins on Sunday of the week in which your application is filed. Your claim is good for one year. Overpayment is the benefit provided for the purpose which you were truly not eligible for unemployment compensation. Over payments are generally considered as the amount paid in error which might be because of your fault or by the State’s Unemployment fault. In case if you are overpaid then a notice will be served to you holding you responsible for repaying the overpaid amount within a reasonable period of time. If it is not repaid then it will be automatically deducted in your future benefit payable. Every year the federal unemployment tax needs to be paid by the employer which needs to be filed. The federal unemployment tax needs to be paid for any employee who have earned more than $1500 in a quarter/ base period or to the employee who have completed his/her at least 20 weeks of tax year. In general to know the exact rate of Unemployment ration in the particular State you need to first know the exact number of unemployed workers with the total number of labor-force (number of people of working age and below retirement age who are actively participating in actively seeking employment). In United States the stats details can be collected from the Bureau of Labor Statistics. Unemployment Insurance is sourced by the employed individual or by the former employers. In General employers are needed to pay for Unemployment Insurance fund Programme, but in rare cases the employees are also required to contribute a small portion as tax. This Unemployment Insurance is funded as beneficiary amount to help out workers who have lost their jobs with no faults of theirs. What should I do in case if I am not eligible for Monetary Benefit? What is Unemployment Insurance and who is eligible for it? What are the basic eligibility requirements to obtain unemployment benefits? What is an Alternate Base Period and how is it calculated? How much can I expect from an unemployment benefit? How can I know the monetary eligibility? What is benefit year and how long does it will be active? What details I need to have before filing the claim? How do I file the Unemployment Insurance Claim? When should I file the claim and what are the per-requisites essential? How to renew the benefit year claims and is it possible to apply for another benefit year before completing the prior one? How long I may receive benefits? What is Extended Benefits and when does this program start or come to consideration? What details do I need to have before filing the claim? In case if you are filing a claim for dependents, then you need to have their names, birth dates and social security numbers. Complete payroll address and reason for separation from all the employers you worked for the last 18 months before filing the claim. You can file the claim through the Internet where you can just log on to your State’s Unemployment Insurance home page, fill up the details and process it. You can also file the Insurance claim via telephone using the numbers provided on the State’s Unemployment Insurance Home Page. When should I file the claim and what are the per-requisites? In case you are unemployed, you need to file your claim as soon as possible. Your claiming eligibility benefits begins the week in which you file your claim. Remember if you file your claim between Sundays to Wednesday, your claim will be effective the week you filed. But in case if you file the claim between Thursdays to Saturday then your claim will be effective in the following week. You must be unemployed through no faults of yours. You should be efficient and available to work. You should be actively searching for full time work unless defined by Unemployment Insurance as a part time worker. You should be willing to accept a job for which you are qualified. How much can I expect from unemployment benefits? A. Benefits are solely based on the wages earned prior to you loosing your job. Amount is calculated by dividing the average of your wages in the 2 highest quarters of your base period by 22. The maximum weekly benefit you can receive is $400.00. In addition $10 will be paid per dependent per week. Unemployment benefits varies from State to State. How can I know about the monetary eligibility? Generally you will receive a form from your State Unemployment concerning your eligibility called Determination of Monetary Eligibility which includes the details of all the employer for whom you worked for, your social security number during base period wages, weekly benefit amount and also your monetary eligibility. What should I do in case I am not monetarily eligible for Benefits? If you are not eligible for any unemployment insurance based on the standard base period explained above, then the form will contain instructions on how to apply for the alternate base period. You will need to contact the agency within 15 days as explained in the preceding paragraph and continue to file claims in a timely fashion and request for the payment. What is benefit year and how long will it be active? If you have qualified for the benefits, then your benefit year starts up. Benefit year will be for the period of one year or fifty-two weeks. It is calculated as the period beginning with Sunday of the first week in which you file your new claim. For instance, if you have filed your new claim on Friday then your benefit year would start the preceding Sunday and would be considered as effective date of your benefit year and it will be active for the period of exactly one year. During a benefit year you may receive up to 26 times your weekly benefit amount under normal circumstances. You may not start another benefit year until the first one is completed. However, if you have also worked in another state during your base period and have received all your benefits in your benefit year, you may file against the other state in which you worked and you may be eligible for benefits from that state. You may also check with the Claimant Information Service for more details. At the end of your benefit year, you may be eligible to establish a new benefit year with the extension of unemployment benefits, if you have been employed during the current benefit year and earned at least 10 times the weekly benefit amount for which you would be eligible during the new benefit year. Call the Claimant Information Service for further information on establishing a new benefit year. Eligible workers, Who have lost their jobs through no fault of theirs. In order to qualify for unemployment benefits, you have to be ready, willing, available, and able to work. Based on your state there may be eligibility requirements for unemployment coverage including having worked for a definite period of time. The Job Service may need job seekers to apply for jobs, submit resumes, and turn down a position if it meets certain standards. What are the basic criteria for Monetary and Non-Monetary Eligibility of unemployment benefits? Unemployment Insurance is the compensation amount projected to pay as a momentary or temporary economical assistance. It is the total sum of the monetary and non-monetary amount which is offered to an employee by his or her employer in return for work performed. Monetary payments include the compensation of the expenditure costs like bonus, recognition rewards and checks, overtime payment and checks including profit sharing. Compensation paid as non-monetary benefit includes the advantage payment such as providing company paid housing or car for the company’s employee. The number of weeks for which you receive benefits is determined at the beginning of your benefit period. This amount depends on your individual earnings and is limited to a maximum of 26 weeks of regular unemployment benefits. You may also qualify for up to 20 additional weeks of benefits under a temporary Emergency Extended Unemployment Compensation Benefit program. Additional benefits may also be available under Special Programs. Covered employment is the job carried out for employers who are qualified to unemployment compensation law. Covered employment from other states may also be used under certain conditions. The base period is the first four of the last five completed calendar quarters immediately proceeding the first day of your benefit year. The last four completed quarters will be used if you are not eligible using the regular base period quarters. What are the features of Disability Insurance? Disability Insurance is the type of insurance that can be claimed under conditions like mental or physical illness or injury which avoids you to work and makes you jobless. In other words, it is offered by the employers if an individual cannot work due to mental or physical injury. If you are away from your customary work due to illness, non-industrial injury, pregnancy or family concerned situations then you may expect for the partial income to be paid. Extended Benefits is the addition benefit claims that becomes effective during the period of high unemployment rate in particular state. Extended Benefits is paid just after an individual has exhausted his/her benefits on their regular claim of last tier and Emergency Unemployment Compensation. If you fail to claim the benefits under regular Base period then you are permitted to apply for Alternate Base Period considering the updated system for tracking on the latest income. This program expects the workers to fulfill same overall earning requirements. If you knowingly receive benefits based on false information that you purposely provided when you registered your claim, you are committing unemployment fraud. Anyone who commits unemployment insurance fraud is liable to be punished by law and could even face a variety of serious penalties and consequences. Unemployment fraud can also include telling a white lie to extend their benefits or it can also include the fake policies being sold.